Acclaimed indie alt folk band Wildwood Kin release a new single, ‘Steady My Heart’, January 26th on the newly re-launched Sony Music imprint Silvertone. The track is taken from their gorgeous debut album ‘Turning Tides’ – the single is a newly recorded version produced by Tim Rice–Oxley (Keane) and mixed by Dave Bascombe. Renowned for their luscious harmonies, this innovative family trio from Exeter – guitarist Emillie Key, sister Beth Key on bouzouki/keyboards and cousin Meghann Loney on drums – all sing and make an intoxicating sound that is totally their own. 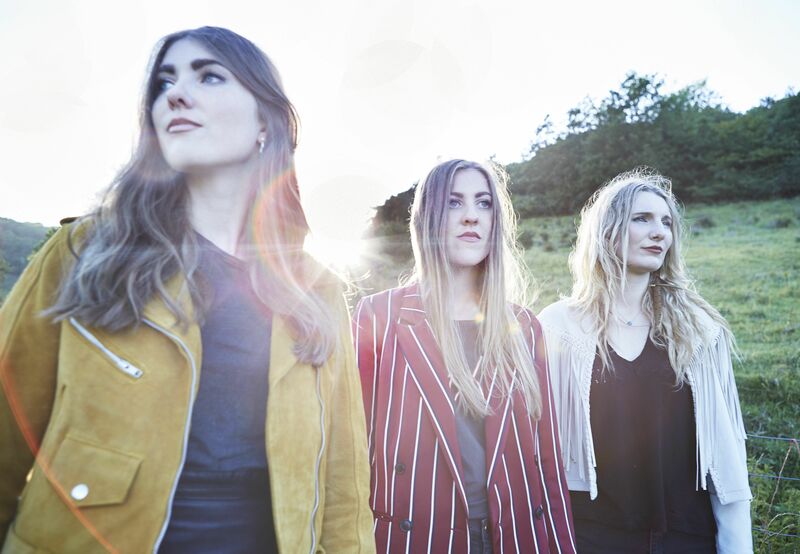 Having spent much of last year touring the UK, Wildwood Kin, fresh from their Eurosonic triumph, are set to play a number of UK and European festivals this summer before going into the studio to record their next album. ‘Steady My Heart’ is one of the many album highlights on ‘Turning Tides’ and includes the kind of lovely harmonies that have become their trademark. The band also performed a stripped back version for the revered Mahogany sessions before Christmas. Wildwood Kin have already been tipped by the great and the good including Jo Whiley, Mark Radcliffe, Steve Wright, Bob Harris and Jamie Cullum. Their live performance of ‘Steady My Heart ‘ featured on the BBC Introducing Stage at Glastonbury last summer and was selected by the BBC as one of their festival highlights.